Banks win again as Republicans undo more consumer protections. Financial institutions get a big win as Republicans overturn yet another consumer protection rule. People walk by a Wells Fargo bank branch on Oct. 13 in New York City. Under cover of darkness, the Senate voted Tuesday night, with a tie-breaker from Vice President Mike Pence, to undo a rule that had been a major win for consumers against banks. The rule, implemented by the Consumer Financial Protection Bureau in July, banned financial institutions from including what are known as forced arbitration clauses in their contracts. These provisions, usually buried deep in the fine print of agreements consumers sign when opening a bank account or signing up for a credit card, take away a consumer’s right to band together with others and file a class action lawsuit over any wrongdoing, or even just sue a bank in open court. Instead, consumers are pushed into a private arbitration process when they have a complaint, where the odds are steeply stacked against them. For a Republican Congress that’s had a difficult time getting anything major accomplished, overturning this consumer protection stands out as one deed done. It also furthers the GOP’s agenda of undermining financial regulations that were put in place in the wake of the 2008 financial crisis. While Republicans and the president have failed to enact so many of the policies they promised, they have actually made great progress on loosening the rules that govern Wall Street. Forced arbitration wasn’t always legal: It was barred until 1925, when Congress passed a law allowing companies to use the clauses in disputes between themselves. In the 1980s, the Supreme Court ruled in a series of decisions that these clauses could be inserted into virtually any contract. Since then, they have become ubiquitous. Tens of millions of Americans use financial products that required them, either knowingly or not, to sign arbitration clauses, according to a report the CFPB released in 2015. Over half of credit card loans include these clauses, for example, and the number would be more than 90 percent if it weren’t for private settlements in 2009 and 2010 that forced some issuers to remove them. More than 40 percent of insured deposits in checking accounts are subject to a forced arbitration clause. Over 90 percent of prepaid credit cards include them, as do most payday loans and about 85 percent of student loan contracts. But most people, understandably, don’t even realize that they’ve signed them. Who takes the time to fully read a product agreement, let alone understand the legalese that means they’re giving away the right to join a class-action lawsuit? The CFPB found that these clauses alone run about 1,100 words on average, with some as long-winded as 2,500 words, and that they are typically the most complexly written part of a contract. Consumers stand little chance of getting relief when they’re pushed into arbitration: Companies have a lot of control over who will oversee and arbitrate the cases. Only about 60 percent of consumers go into arbitration with a lawyer at their side, but companies are always represented. And once an arbitration decision is made, there’s usually no recourse to change it. In one case study, debit cardholders who were able to join a class-action lawsuit got $1 billion via 18 settlements over their allegations of illegal overdraft fees. Those who went through arbitration because they either weren’t allowed to join, or opted out, got nothing at all. This issue has taken on even more urgency in the wake of some recent high-profile financial misbehavior scandals. 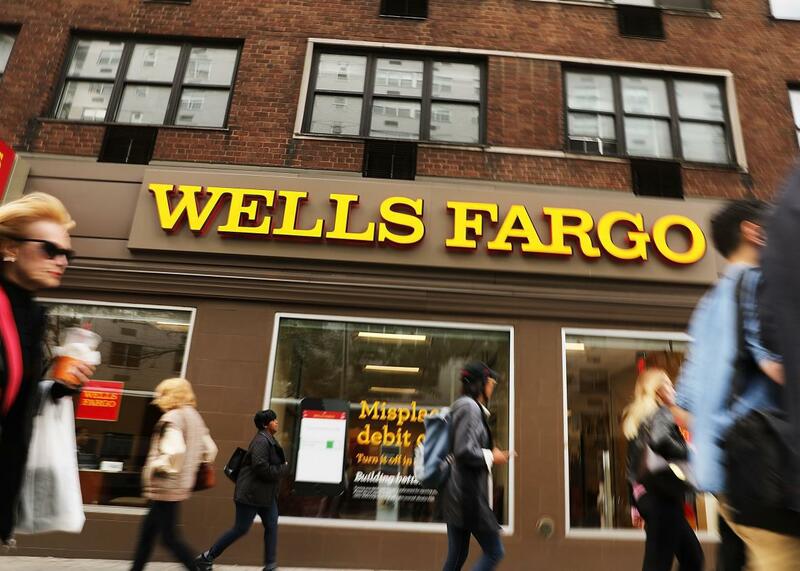 After the news broke that Wells Fargo employees had opened millions of bank and credit card accounts for customers without their authorization, the bank tried to block those customers from bringing lawsuits thanks to forced arbitration clauses in its contracts. When the Equifax hack potentially exposed 143 million people’s private financial information thanks to the company’s failure to patch a vulnerability in its security software, the company’s initial offer of free identity protection came with the requirement of signing an arbitration agreement. Equifax eventually reversed course after widespread outrage, but its own terms of service still contains an arbitration agreement that could prove thorny for anyone who wants to sue over the data hack but has already signed. Perhaps that’s because Republicans have made it one of their core missions to loosen the rules that govern Wall Street. The House of Representatives passed Texas Rep. Jeb Hensarling’s Financial Choice Act over the summer, which offers a veritable potpourri of favors to the financial industry and unravels the Dodd-Frank financial regulations put in place after the 2008 recession to ensure that big banks aren’t such a danger to the rest of the economy. Hensarling’s bill includes changes that would significantly hamper the CFPB itself and scraps the fiduciary duty rule that would bar financial advisers from putting their interests ahead of clients’. President Trump has also been more than happy to help congressional Republicans weaken financial rules. In addition to helping undo Dodd-Frank, Trump administration agencies are currently reviewing the Volcker Rule, which bans banks from making risky bets with their own money. Regulators have also dropped a rule that would have reined in Wall Street bonuses and removed AIG from a list of firms that were required to comply with heightened requirements to protect the economy if they were to fail. And now the Federal Reserve is loosening requirements on other banks. Perhaps Republicans are betting that Americans have already forgotten the recession, when countless people lost their savings and livelihoods thanks to financial misdeeds and misbehavior. Maybe they hope that no one is paying attention. Maybe they think the public will see that they passed something and consider that a victory. Too bad it’s yet another “win” that comes at the expense of American consumers and in favor of big banks.